[한국어는 아래에..] Softbank is a big believer in the impact that technology can make to the sporting industry. 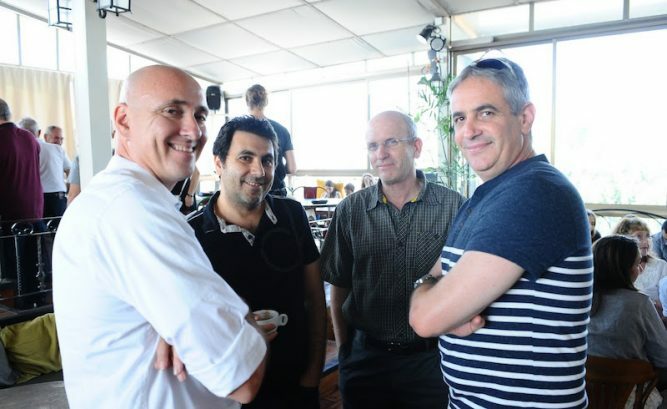 And our journey to find one of the world’s leaders in sports technology took us to Israel, a country home to more than 7000 start-ups companies with a fast-growing ecosystem of sport technology start-ups. So, we are delighted to today announce our participation in the Series C round in PlaySight Interactive (“PlaySight”) alongside leading investors such as Verizon Ventures, Greg Norman’s Great White Opportunity Fund, Novak Djokovic, Billie Jean King, Bill Ackman, CE Ventures and Tennis Partners III (a private group of ATP stars and coaches including Pete Sampras and Chris Evert). In 2017 and 2018, PlaySight were nominated by Fast Company as one of the World’s Most Innovative Companies in Sports. Founded in 2010, PlaySight is an Israeli software company which has developed the world’s first all-in-one video and analytics SmartCourt. 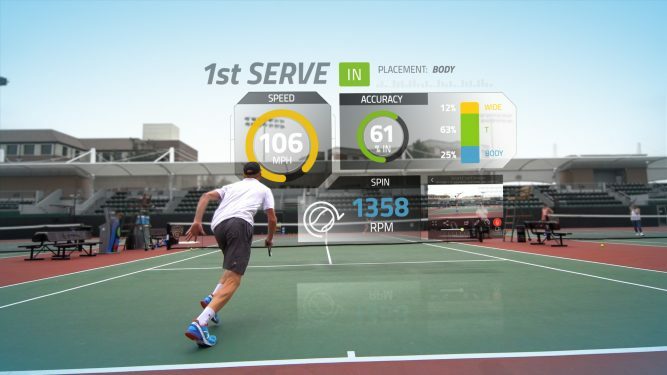 In short, a SmartCourt uses connected cameras to analyze, index, store and stream on-court activity without any player sensors during the match or training. 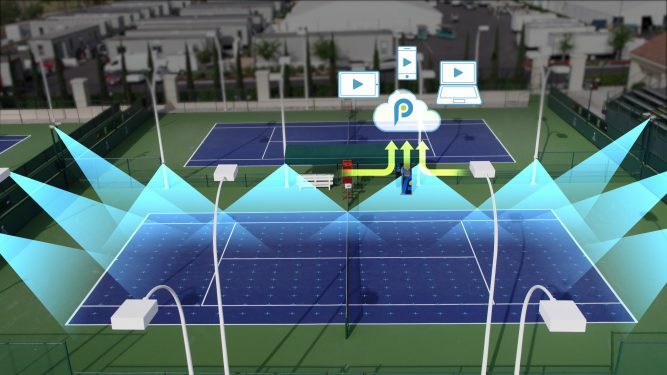 PlaySight’s core technology is its computer vision and video analytics and its real-time methods for tracking, identifying and capturing the motion of players and objects such as balls and racquets. Its uniqueness is its ability to offer an all-in-one, cost-effective, sensor and operator-free solution video and analytics platform for all sports including, tennis, basketball, soccer and baseball. Due to its ability to offer a complete solution at a low price, PlaySight is the only solution that can cater to the mass-market of multi-sports facilities, tournament centres, high schools, colleges, sports academies, leagues and amateur and professional teams and clubs. This means millions of junior and amateur players, athletes and coaches around the world will have access to technology previously only available in professional sports e.g. live streaming, instant and slow-motion replay, automated scorekeeping, line-calling and real-time statistics. It is truly a game changer for the sports industry. Today, PlaySight services 265 global customers which include 900 Smart Courts in tennis, basketball, soccer and multi-sport facilities. Flagship customers include The United States Tennis Association (USTA), The National Basketball Association (NBA), Golden State Warriors and Atlanta Hawks (Basketball) and Hoffenheim (Soccer). With this new funding, PlaySight are targeting to reach a global installation base of 10,000 SmartCourts by 2020 through the launch of multi-sport applications, scaling of its global salesforce in the US, Europe and Asia and new revenue sharing business models which shortens the sales cycle with customers. 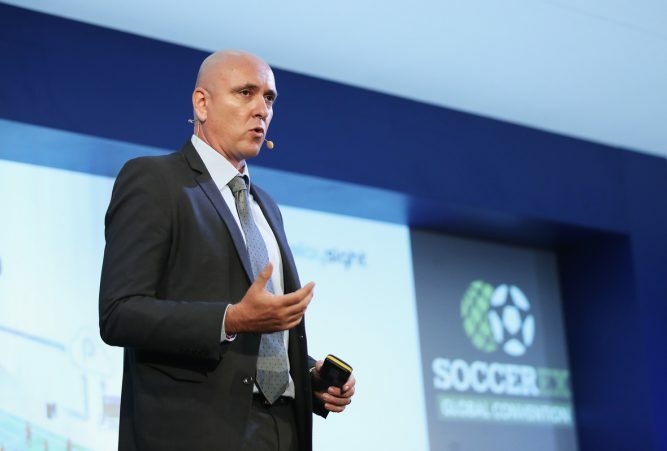 During this time, PlaySight plan to roll out new product features such as Video Assistant Referee (VAR) tools for tennis, basketball and soccer. 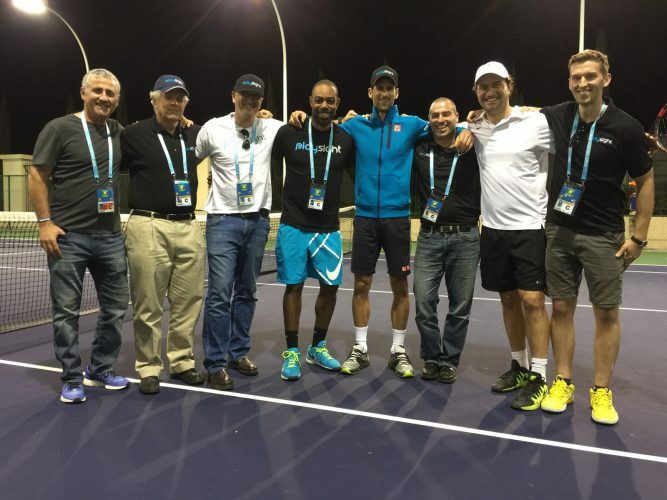 Its first VAR product, PlayFair, is already being piloted across the United States by the USTA. 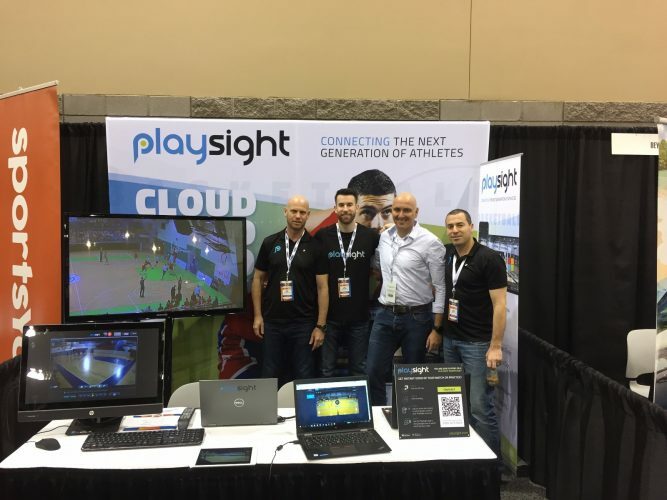 PlaySight was founded by Chen M Shachar who came up with the idea for PlaySight after his experience in the Israeli airforce where video replay of flight missions highly effective for training purposes and wanted to introduce that concept into sports. Today, PlaySight employs 85 people with offices in Israel, New Jersey, Los Angeles and Ukraine. We are proud to welcome the PlaySight team to the SoftBank family! 소프트뱅크는 스포츠 산업 분야가 기술을 통해 무한한 발전 가능성을 가지고 있다고 믿습니다. 이에 소프트뱅크벤처스는 7,000개 이상의 스타트업들이 활약하고 있는 이스라엘에서 빠르게 성장하는 스포츠 기술 스타트업 생태계에 주목했습니다. 소프트뱅크벤처스가 투자한 플레이사이트(PlaySight)는 2017년과 2018년 패스트컴퍼니(Fast Company, https://www.fastcompany.com/)에 의해 스포츠 분야의 가장 혁신적인 회사로 선정된 바 있습니다. 이번 투자는 버라이즌 벤처스(Verizon Ventures), 그레이트 화이트 오퍼튜니티 펀드(Great White Opportunity Fund) 등과 공동으로 이루어 졌으며, 노박 조코비치(Novak Djokovic), 빌리 진 킹(Billie Jean King)과 같은 세계적인 테니스 선수들도 참여했습니다. 2010년에 설립된 플레이사이트는 세계 최초의 올인원 비디오와 스마트 코트(SmartCourt) 분석 프로그램을 개발한 이스라엘 소프트웨어 스타트업입니다. 스마트코트는 상호 연결된 카메라들을 활용해 경기나 훈련 도중 센서 없이도 선수들의 움직임을 분석하고 저장하며 스트리밍 할 수 있는 프로그램입니다. 플레이사이트의 핵심 기술은 컴퓨터 비전과 비디오 분석 기술로, 이 기술을 활용하면 실시간으로 선수와 볼, 라켓과 같은 물체의 동작을 식별해 트래킹하고 저장할 수 있습니다. 올인원 프로그램인 만큼 비용이 합리적이고, 별도의 센서나 작동자 없이도 활용이 가능한 비디오 솔루션이자 분석 플랫폼으로, 테니스, 농구, 축구, 야구를 비롯한 모든 스포츠에 활용이 가능합니다. 플레이사이트는 낮은 비용으로 완벽한 스포츠 분석 솔루션을 활용하고자 하는 이들을 위한 서비스입니다. 이에 스포츠 시설, 경기장, 학교 및 스포츠 교육 시설, 아마추어 및 프로페셔널 팀, 리그와 클럽 등에서 실질적으로 대중화 될 수 있는 유일한 솔루션입니다. 이는 전 세계 수백만 명의 주니어와 아마추어 선수들 그리고 코치들이 예전에는 프로페셔널 스포츠에서만 사용 가능했던 기술을 수월하게 활용할 수 있게 되었다는 것을 의미합니다. 이제는 이처럼 많은 스포츠를 즐기는 사람들이 경기 라이브 스트리밍, 경기 내용 녹화에 대한 즉시 재생과 슬로우 모션 재생, 기록 자동 관리, 심판 판정, 실시간 통계 기능을 이용할 수 있습니다. 플레이사이트는 이러한 기술력을 통해 스포츠 산업에서의 진정한 혁신을 가져올 것으로 기대되고 있습니다. 현재 테니스, 농구, 축구 등의 멀티 스포츠 시설에서 265개의 글로벌 고객이 900개 이상의 스마트코트 서비스를 사용하고 있습니다. 주요 스포츠 팀 고객으로는 미국 테니스 협회(USTA), NBA(National Basketball Association), NBA의 골든 스테이트 워리어스와 애틀랜타 호크스 및 분데스리가의 호펜하임(Hoffenheim) 등이 있습니다. 플레이사이트는 조만간 멀티 스포츠 앱을 출시하고, 미국과 유럽, 아시아에서 글로벌 세일즈 인력을 확충해 새로운 수익 공유 비즈니스 모델을 정립할 예정입니다. 이를 통해 2020 년까지 전 세계적으로 10,000개 이상의 스마트코트 프로그램 설치를 목표로 하고 있습니다. 또한 플레이사이트는 테니스, 농구, 축구용 VAR (Video Assistant Referee) 툴과 같은 새로운 기능을 출시할 예정입니다. 최초의 VAR 제품인 플레이페어(PlayFair)는 이미 미국 테니스 협회에 의해 미국 전역에서 시범적으로 운영되고 있습니다. 플레이사이트를 창업한 첸 M. 샤카르(Chen M. Shachar)는 이스라엘 공군 복무 경험을 바탕으로 플레이사이트 사업 아이디어를 생각해 냈습니다. 공군 재임 시절 비디오를 활용한 반복 비행 훈련 방법이 매우 효과적이었고, 이를 스포츠 영역에 적용해 보고자 했습니다. 현재 플레이사이트 팀은 총 85 명으로 이스라엘, 뉴저지, 로스앤젤레스 그리고 우크라이나에 사무실을 두고 있습니다. 플레이사이트의 기술을 통해 많은 사람들이 스포츠 플레이를 더욱 체계적으로 즐길 수 있기를 바라며, 플레이사이트 여정에 함께하게 된 것을 진심으로 기쁘게 생각합니다!